L to R: Coach Carla Wennberg, Equestrian Program Director Peggy McElveen, Connor Smith, Assistant Coach Lindsey Trokenbrot. 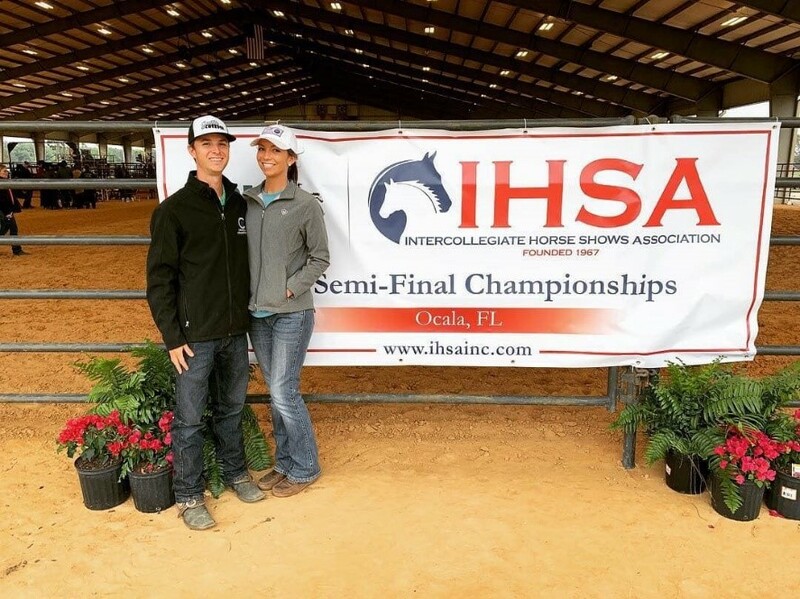 Conner Smith is a 2018 graduate of St. Andrews University with a degree in Business Administration: Specialized Program of Study in Equine Business Management believes a passion for IHSA led to a career in the Quarter Horse industry. 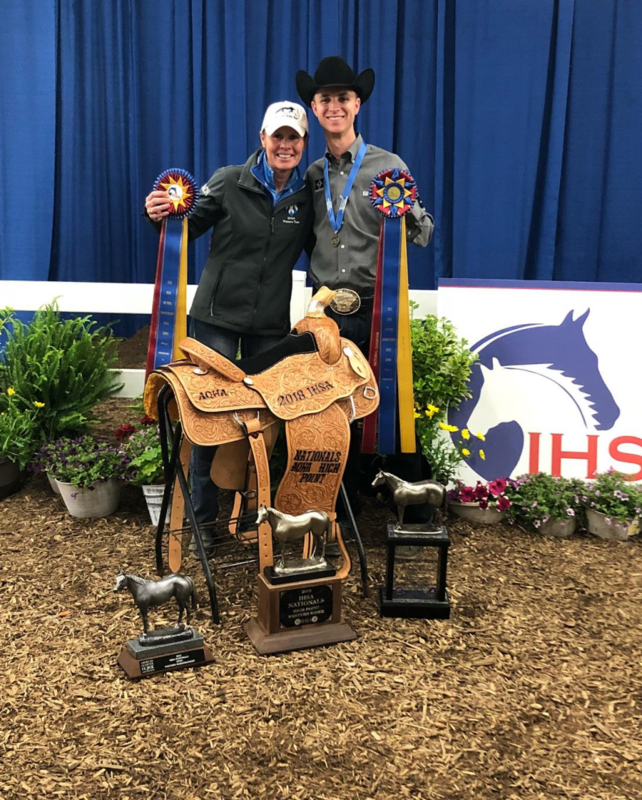 During his time at St. Andrews Conner was a part of the IHSA Varsity Western Team as well as the riding council president for the 2017-2018 school year. Conner became a student at St. Andrews in 2014 and joined the western team as an Intermediate level rider. 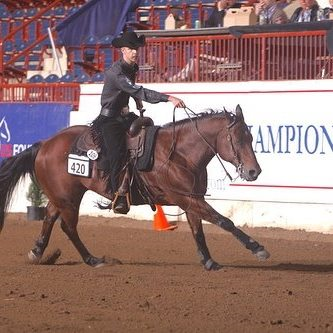 During his first year Conner showed at many of the regular season shows but did not qualify as a regional rider. During his Sophomore year Conner pointed out of intermediate during the first regular season horse show, which qualified him for Regionals. He then began to show advanced and continued to Semi-finals and Nationals as the intermediate individual and advanced team rider. Conner placed third at Nationals in the team advanced. At the start of his Junior year Conner pointed out of advanced and started showing open horsemanship. Unfortunately, Conner did not make it through Regionals as an individual, so he did not qualify for Semi’s or Nationals this year. Senior year Conner started showing the reining, as well as open horsemanship. Conner was High Point Rider for the region and continued to Semi-finals and Nationals as the team reining and team open horsemanship rider as well individual open horsemanship. 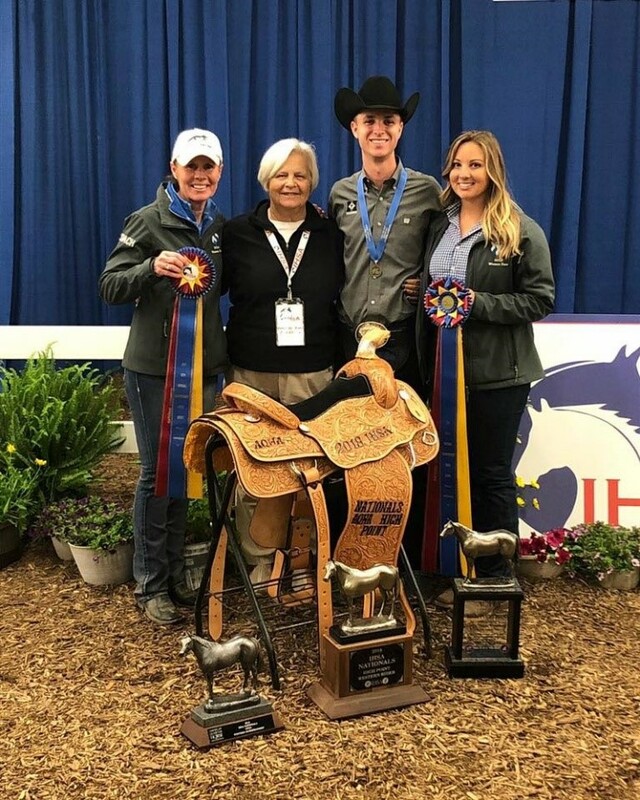 At Nationals Conner won high point rider for the nation, team open horsemanship, and placed fourth in individual open horsemanship. 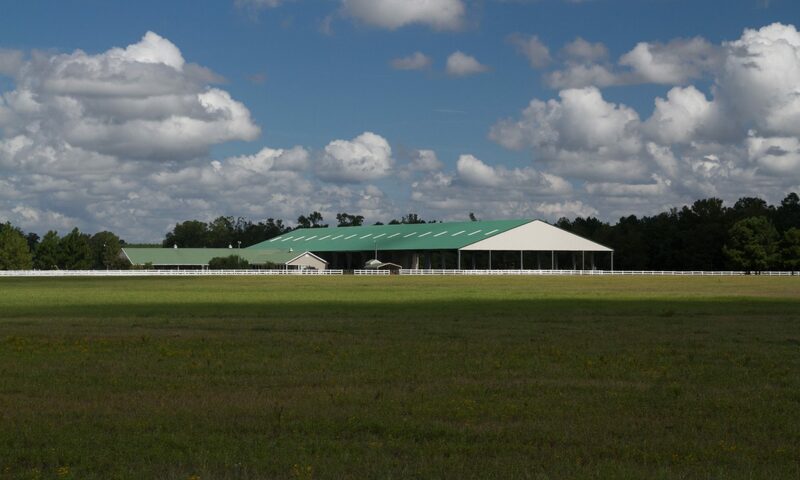 Read the NRHA report on Intercollegiate Horse Shows Association (IHSA) Nationals 2018 here. After graduating from St. Andrews Conner accepted the position of assistant horse trainer at Grose Quarter Horses. Here Conner rides under Carrie and TW Grose, a mom and son training team. Conner helps the duo manage a herd of 15 horses in training. In this position Conner gets a significant amount of saddle time on the younger client horses as well as traveling to shows with the clients. Grose Quarter Horses specialize in the all-around horses and have rated success in the all-around events. Conner travels where the clients want to show but has so far only been a part of the Florida circuits. He looks forward to traveling to Georgia in July, Oklahoma in August, and the Congress shows in the future. Conner hopes through his travels to become a greater part of the AQHA community. 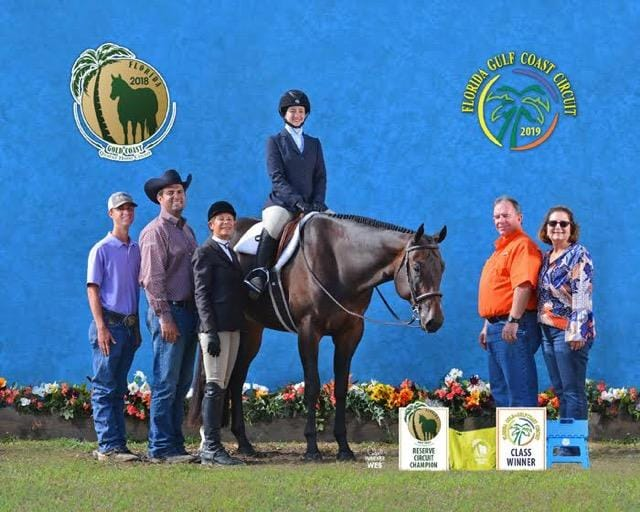 Grose Quarter Horses specialize in the all-around horses and have rated success in the all-around events. Conner travels where the clients want to show but has so far only been a part of the Florida circuits. He looks forward to traveling to Georgia in July, Oklahoma in August, and the Congress shows in the future. Conner hopes through his travels to become a greater part of the AQHA community.